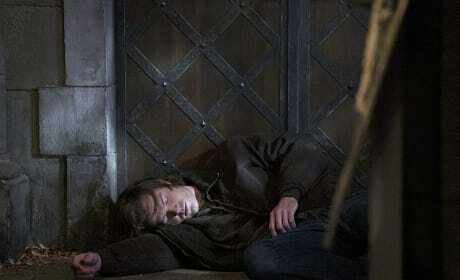 It looks like Amara has tossed aside Sam and left him unconscious. That would happen wouldn't it? But does Amara just want a moment with Dean to herself or have the Winchester brothers gotten into a major pickle they might not be able to escape from? Amara must be using her growing powers to effortless toss aside a Winchester. But is it Sam? Is it Dean? Should the brothers have thought through their meet-up with the powerful Darkness? Sam's all alone with what looks to be an unconscious demon. 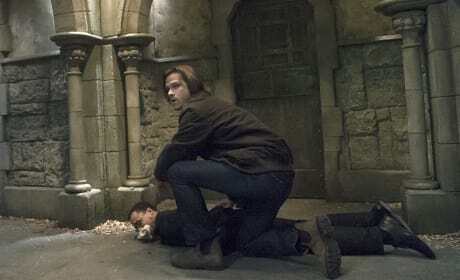 Did Dean head off to try and calm down Amara? The younger Winchester better watch his back just in case. Is that a demon that Sam has managed to take out? Dean has his knife at the ready, that's for sure. The boys better be careful, because Amara may want to take his soul. Dean and Amara's conversation has been interrupted. But by who? Is it Sam? Or is it some poor sap who is going to lose his or her soul to Amara? The Darkness is growing. It looks as if Amara is continuing to grow up pretty fast. Has she finally caught up with Dean? How strong is their bond still? Dean is looking pretty serious as he and the growing Darkness have a chat. 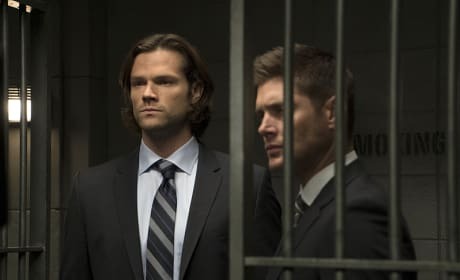 So are Sam and Dean trapped in a cell, or are they releasing someone from the prison? 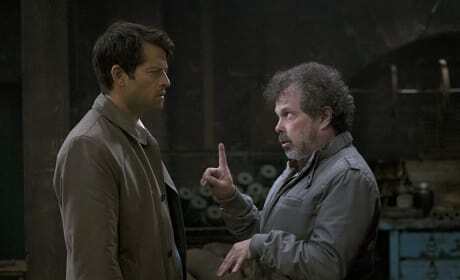 Is it Metatron? Another angel? A demon? Either way, it looks like serious business for the Winchesters. Yikes! 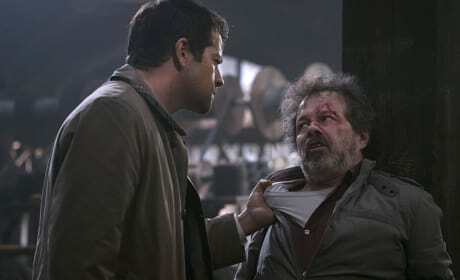 Looks like Metatron is getting a major beating from Castiel. The angel means business, and he's going to get what info he needs from the scribe of God, even if that means roughing him up. 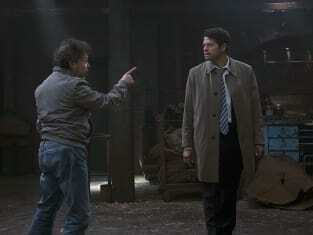 Castiel looks like he's about to throw down with Metatron. However, the scribe seems pretty eager to make one last request or deal. Or is he just wondering if Castiel wants to take him out for waffles again? 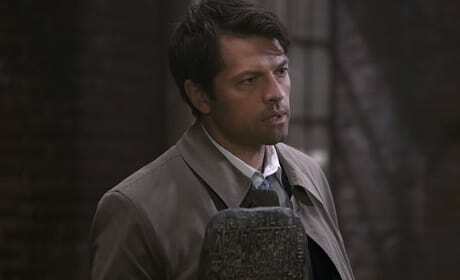 Has Castiel retrieved the demon tablet from Metatron? Or is that the angel tablet put back together? Either way, the clues to defeating the Darkness might be hidden within one of those tablets. 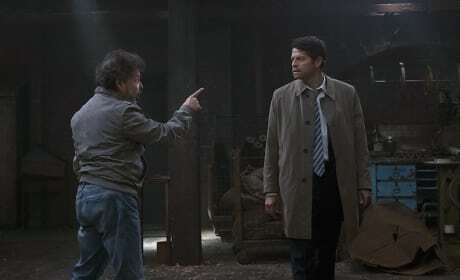 Castiel has finally found that sneaky Metatron. He must be seeking the angel scribe's help to learn how to defeat the Darkness. After all, doesn't Metatron still have the demon tablet?